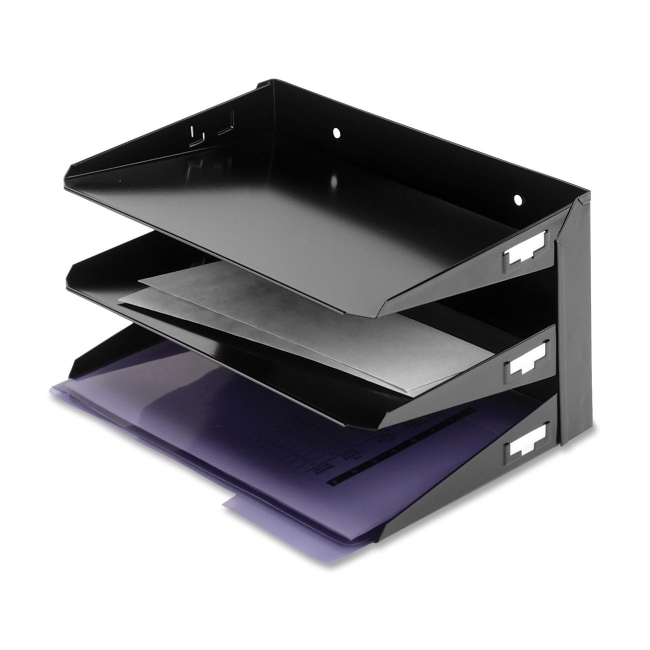 Horizontal organizer keeps important papers at your fingertips with multiple horizontal file trays. Each tray features an ID label holder to customize trays and identify documents without taking them out of organizer. Organizer easily holds many combinations of files, forms, magazines, reports, catalogs, sales orders, folders, pads of paper, proposals, and mail. Predrilled holes allow easy wall mounting or attachment to partition hangers to save desktop space. Organizer is made of durable heavy-gauge steel with a scratch-resistant, chip-resistant finish.